Have you ever seen a Sumo tournament? Now, tournaments take place 6 times a year, 3 times in Tokyo, once in Osaka, Nagoya and Fukuoka respectively. Each tournament lasts for 15 days. Spend an afternoon watching the Japanese traditional sports Sumo by yourself. Sumo is a traditional Japanese sport based on the Shinto belief. It is often referred to as “Japanese wrestling,” where one tries to force the opponent out of the ring or force any part of his body touching the ground. But unlike wrestling, there is no weight class. The origin of sumo dates back at least 1500 years ago. What is unique about sumo is that it preserves rituals and traditional aspects. 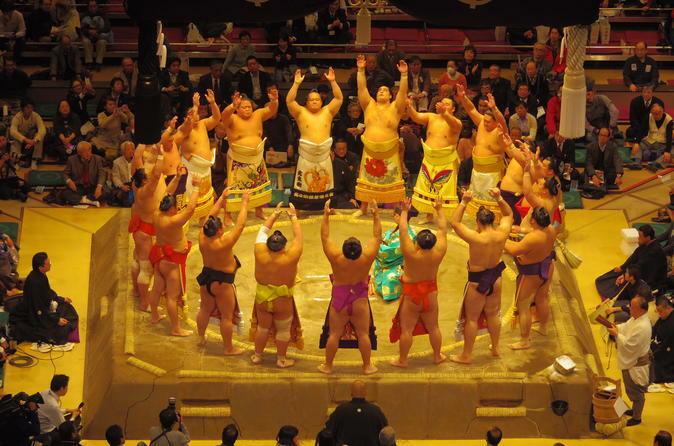 During this experience, you will see strong Sumo wrestlers.